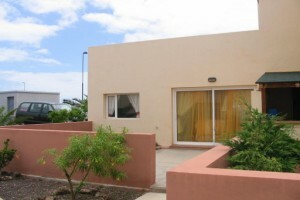 GoldAcre Estates offers again a great apartment for sale in Corralejo, Fuerteventura at a very competitive price.A spacious 2 bedroom ground floor apartment on the outskirts of Corralejo Located in a quiet area of the town and enjoys the benefit of a communal swimming pool. Near all amenities and Corralejos famous beaches. You will enjoy the most beatiful lanscapes of Fuerteventura one of the Canary Islands, Spain. GoldAcre Estates S.L ones of Fuerteventuras leading Estate Agents have been offering great value properties throughout Fuerteventura and offers afirst class service second to none throughout your whole purchase procedure. Our staff will attend you in both Spanish and English and other languages such as French, Portuguese etc if necessary. If you are interested in buying or renting a property, GoldAcre Estates offers the largest selection of properties in Canary Islands, Spain. Whether you are looking for an apartment for sale in Corralejo or a villa in Parque Holandes, GoldAcre Estates will help you, even to build your home. So if you like the Canary Islands lifestyle, the amazing landscapes of Fuerteventura or Gran Canaria and you have been thinking about buying or renting a property, pay a visit to GoldAcre Estates and we will find the house that meets your Dreams.